I end up with dry lips several times a year. No fun! And if I don’t treat them, I quickly develop the bad habit of biting my lips to get the dead skin off. Yuck, right? One of my favorite ways to help heal and prevent chapped lips is by using a lip scrub. Scrubs are a great way to exfoliate and smooth the top layer of our skin and lips. I enjoy making my own sugar scrubs for this purpose. 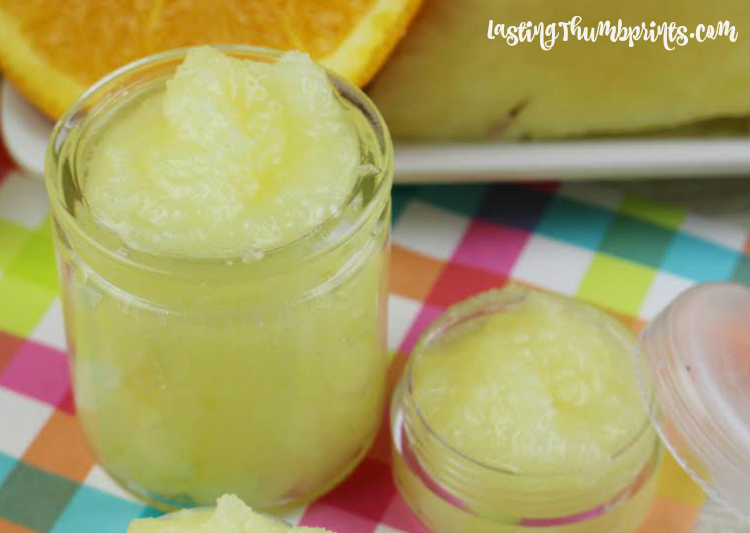 Today I wanted to share an easy DIY lip scrub recipe that you can make at home. And my favorite part, it contains all natural ingredients. 1. 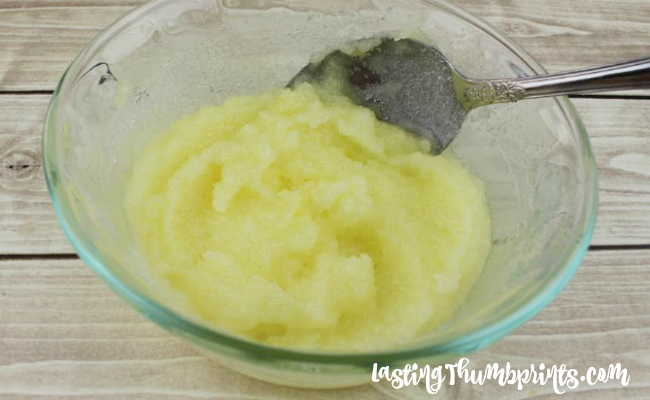 Purée 1 tablespoon of crushed pineapple in a food processor. Set aside. 2. In a small mixing bowl, add the sugar and coconut oil. Stir until well blended. 3. Add the puréed pineapple and mix. 4. Add the essential oils and vitamin E oil and stir until mixed well. 5. Transfer to an airtight container(s) and store in the refrigerator up to one week. NOTE: If you want the lip scrub to last longer and don’t want to refrigerate it, leave out the pineapple purée and increase the pineapple flavoring to 1/4 teaspoon. You also might want to consider this if you are giving it as a gift. 1. 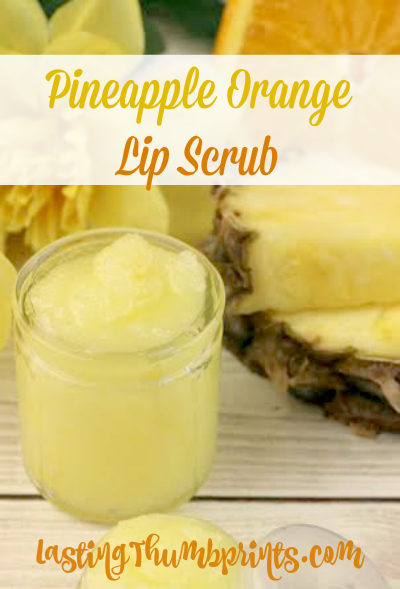 Wet lips with warm water and apply the pineapple orange lip scrub generously to lips. 2. Massage in a circular motion for 30-60 seconds. Enjoy your nice, smooth lips! Looking for more great sugar scrub recipes? Check out this list of 25+ Homemade Sugar Scrub Recipes!